Joey was interviewed in the latest CBS Watch! Magazine in which he talks about "Return of the Mac" and more. Click here to read the online version of the article. 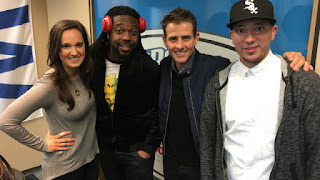 Joey was recently interviewed by 103.5 Kiss FM in Chicago to talk about his new show, who some of his guest stars will be, his family being on the show and more. Joey talks about being in one of the first "boy bands", what to expect on his TV show "Return of the Mac", Donnie and Jenny, taking selfies, his memories of Chicago and more. Joey was recently interviewed on the Steve Cochran Show on WGN Radio. He talks about his new TV show, appearing on "Dancing with the Stars", his favorite and least favorite New Kids song, appearing on Fuller House and more. Listen to the interview here. His interview starts at 1 hour and 36 minutes in the podcast. Joey was recently interview on WGN in Chicago to talk about having his real life family on "Return of the Mac", going back on tour with NKOTB and more. Watch the interview here. Joey was recently interviewed on the Stylz & Roman show on US99. He talks about country music, performing a country song with Kelly Clarkson, growing up in the spotlight, his new TV show "Return of the Mac" and more. Joey was recently interviewed by Entertainment Tonight while he and his family on the set of their photo shoot for CBS Watch magazine. Check out the interview here. Joey will be appearing on The Late Show with Stephen Colbert tonight (3/31) on CBS and on Live with Kelly on Tuesday, April 11. The New Kids on the Block were recently did an interview with "On With Mario Lopez" to talk about their new music, the summer tour and more. Click here to listen! 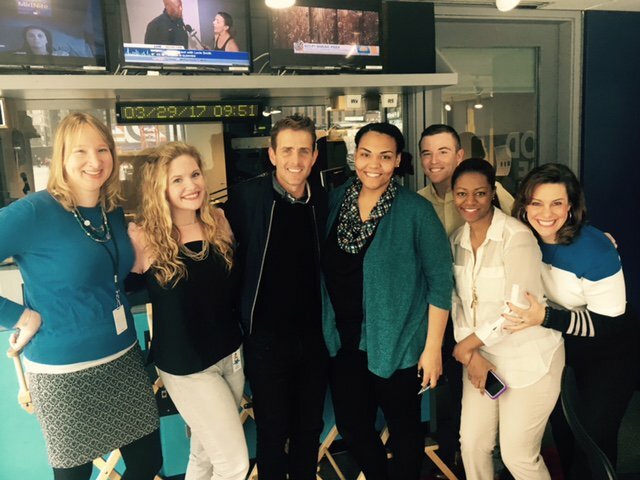 You can also watch the entire show here (NKOTB makes a brief appearance about 9 minutes in). 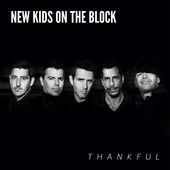 The New Kids on the Block will be releasing an EP called Thankful on May 12, 2017. The EP has 5 songs on it (Heartbeat, Thankful, One More Night, Hard (Not Luvin U), and Still Sounds Good). You can pre-order it now and get the single "One More Night" now. Update: You can also pre-order on Amazon as well. Donnie shared some behind the scenes footage of the New Kids perparing for their appearance on "Late Late Show With James Corden" tomorrow ...Donnie and Lars from DK Music play a clip of a one of NKOTB's new songs called "We Were Here" around minute 4:00. Joey was recently a guest on Good Call with Adam Ray & Josh Wolf. They talk about sports, how NKOTB was put together, his new TV show "Return of the Mac" and lots more (it's about an hour and a half interview).